[Seoul] My new favourite area of Seoul is the Itaewon at Yongsan-gu, filled with a labyrinth of indie cafes, restaurants and stalls which are all diverse, non-homogenous and colourful. There are hidden lanes where you can navigate, and may land up with some surprise finds. 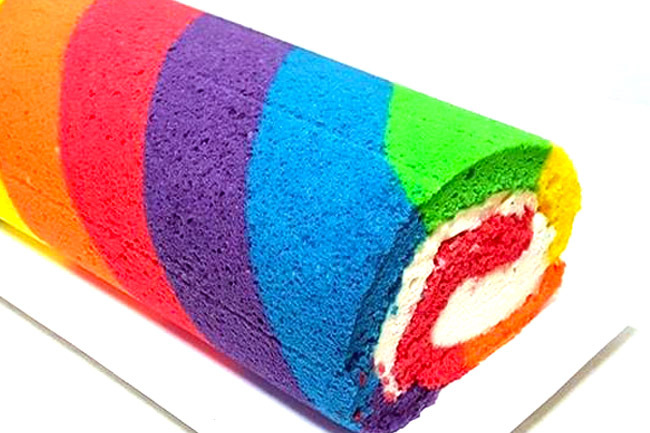 I was on my way to Frank’s, famous for their Rainbow and animal-printed Sponge Rolls. Frank’s may be hard to find, located in the winding streets of Gyeongridan-gil, and my cab driver took huge-angled slopes up and down before our destination. Cabbing from Myeongdong was about 5000 Won (SGD$6). 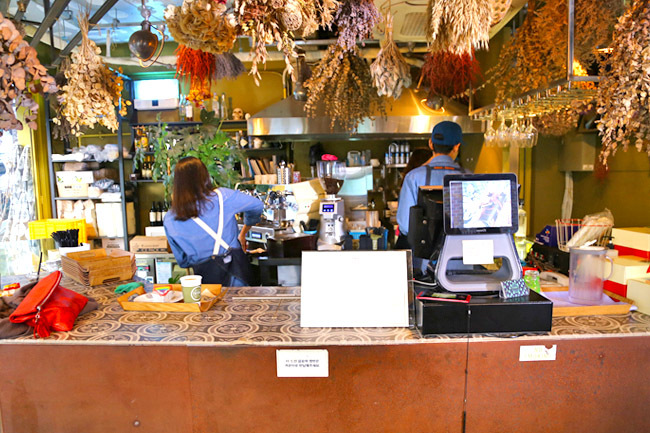 The café looks European-quaint on the outside, painted in mustard yellow, surrounded with dried flowers and plants on both the exterior and interior. 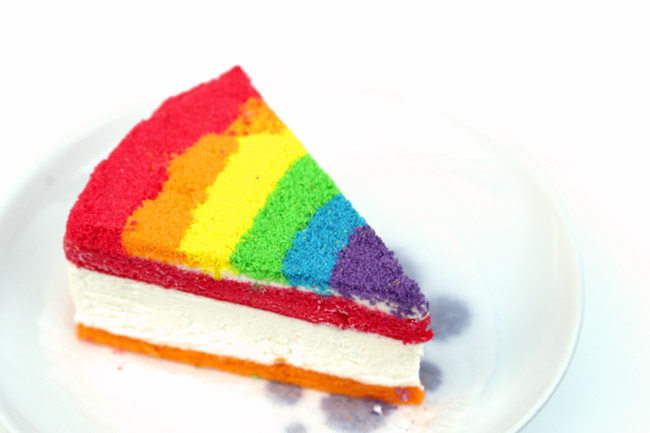 The inside was slightly cramp, with a line of people waiting to take-away the converted cake. There was a queue for their sponge cakes, supposedly freshly baked at 12pm and 4:30pm, and would be sold up in less than an hour. The less popular Cow Rolls are available every Tuesday, Wednesday, Thursday and Sunday. 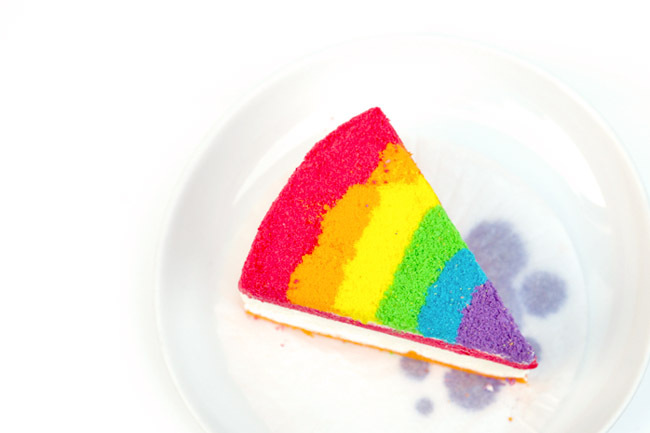 Despite the brilliant vibrant colours, the cake is said to be coloured by 100% natural ingredients, with a filling of earl grey custard cream. And also not overly sweet. If that is too much to handle, the Honey Sliced Cake (6,500 Won, SGD$7.80) can be a delightful treat – light, fluffy spongy cake with milky soft cream interior. Perhaps it was because I had it in winter, the entire cake moderately cold, the sensation was almost like consuming weightless ice cream. The sweetness level was also surprisingly all right. Frank’s does get overly crowded at times with both locals and tourists, being frequently featured in guidebooks and television shows. In fact, a filming crew was down the moment I was there. 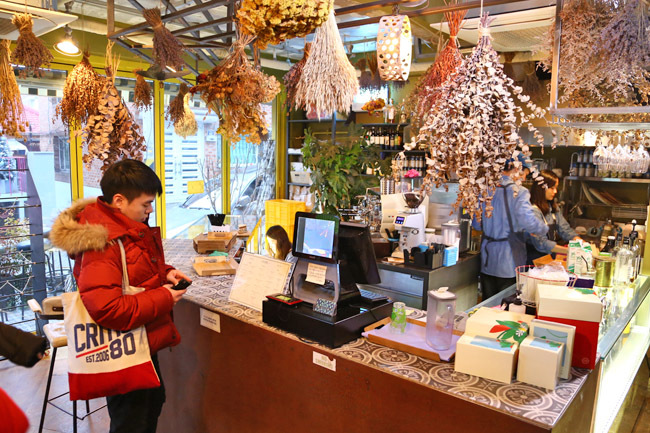 Once done, make room for other charming places at Itaewon. A coworker told me about this place a long time ago! 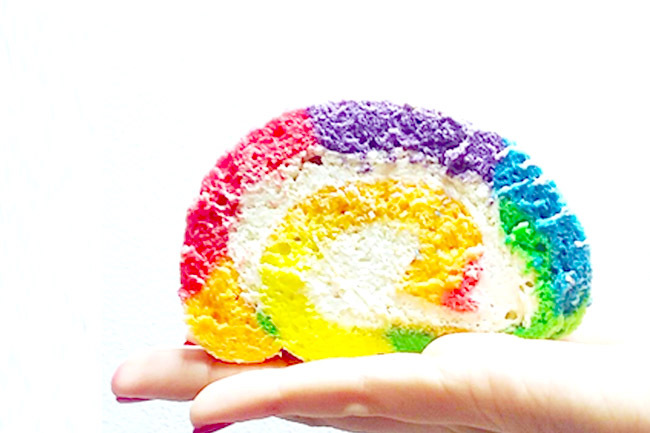 We will have to check it out and try that beautiful rainbow roll! Thanks for sharing! Their other cakes seem not too bad as well.